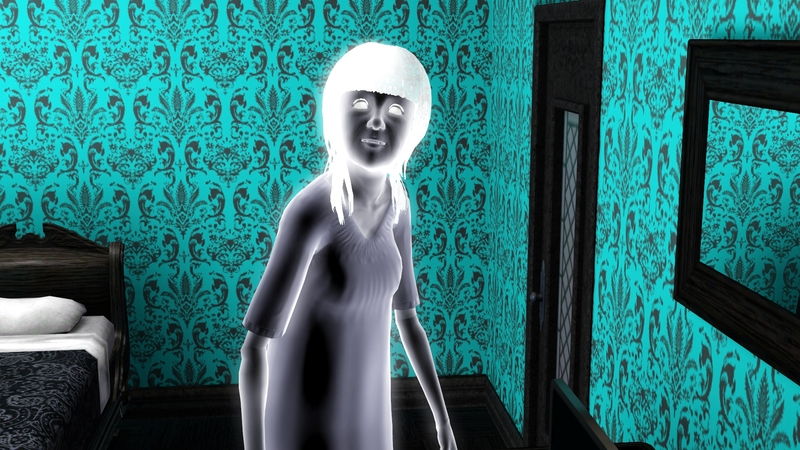 Ariel moves the family to Midnight Hollow and they attempt to embrace the darkness. Bella finds a time machine at the consignment store and promptly travels to the past. 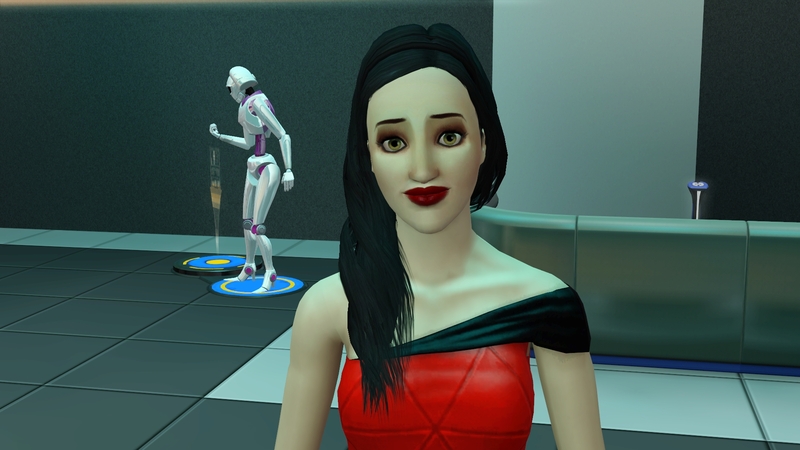 Bella turns her into a simbot with the Bottled Simbot Converter potion so now everyone in the family is being stalked by a simbot paparazzi. Adam is slowly growing up. 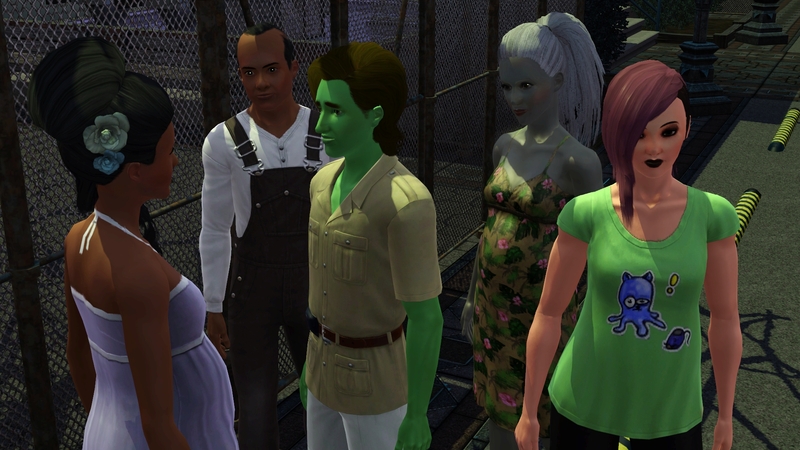 Everyone in the family has a plan: Briar needs to die, Ariel is a ghost hunter, Bella will be creating bots, Robin will be a heartbreaker, and Adam will be a magician. This is all before Ariel marries and brings the next generation into the household. Eventually Briar moves on and opens up a spot in the house. It is time for the Ariel generation to get busy. 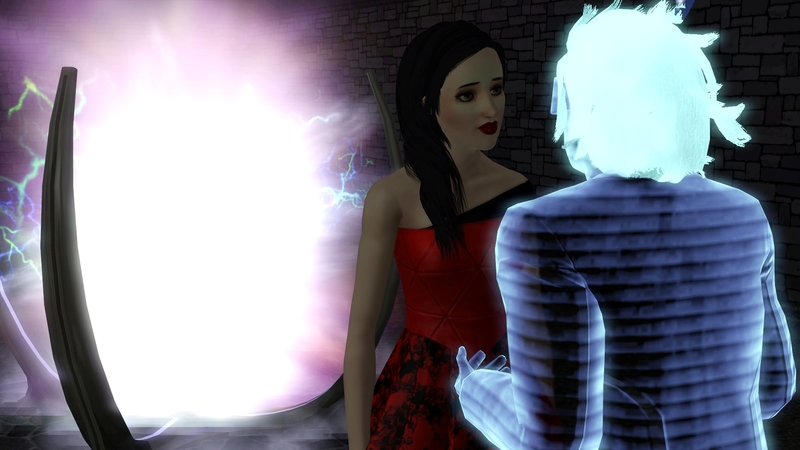 Bella meets a time traveler and decides to follow him back to the future. Bella is impressed with the future. 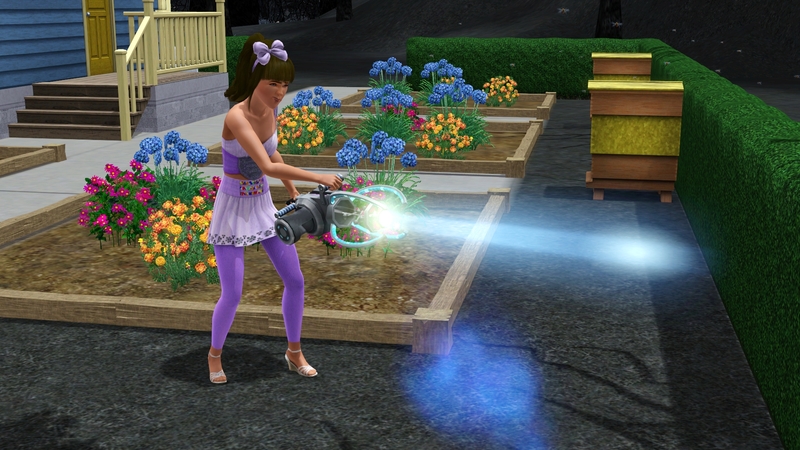 She experiments with the jet pack. 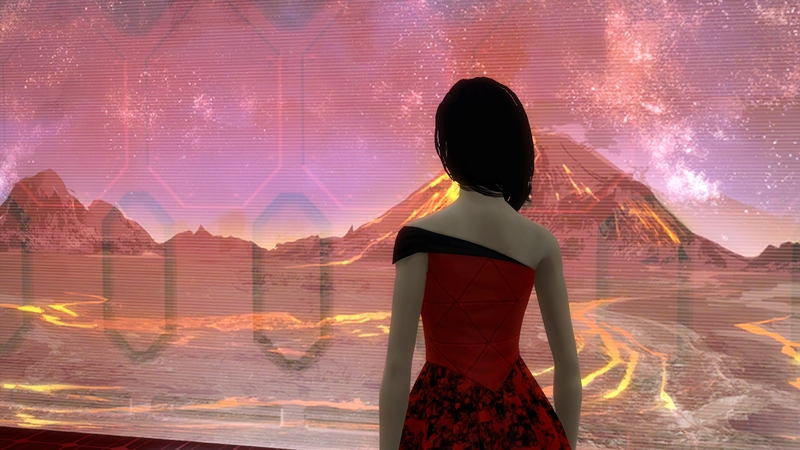 After exploring the desolated area outside of town, she manages to get inside a crashed ship and finds an amazing mural. 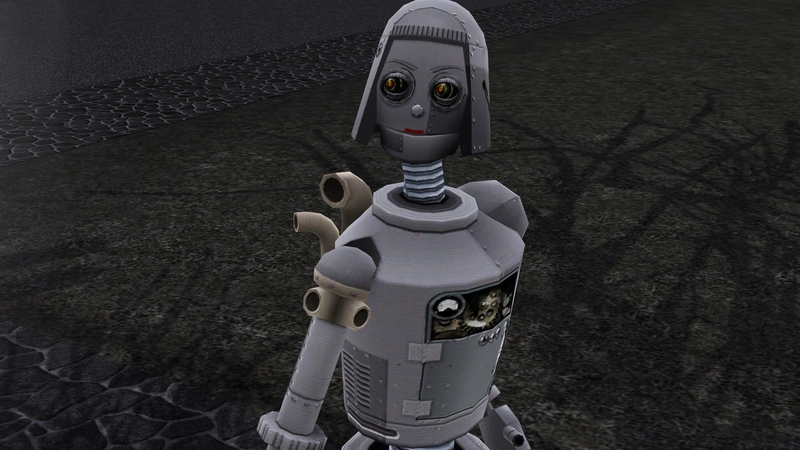 She spends the rest of her time learning how to build plumbots. Bella finds a device and not sure exactly what it does, she fiddled with it. 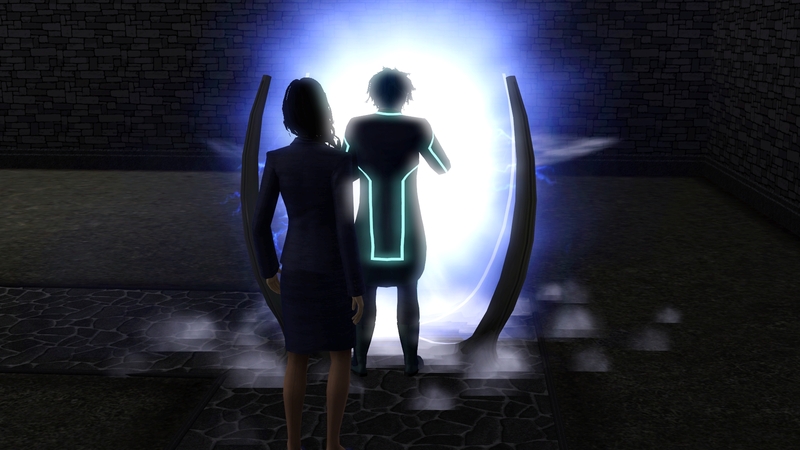 She notices a change in the portal energy color and steps back to the future to see what happened. There is something seriously wrong with the future now. 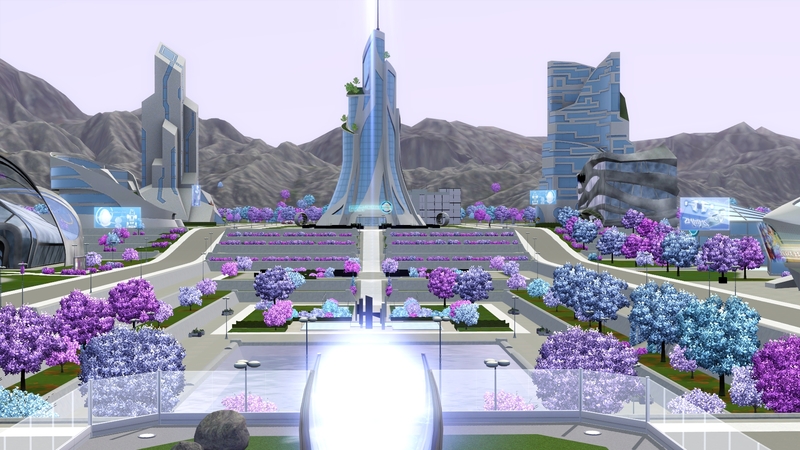 Bella quickly returns home and attempts to correct the future. 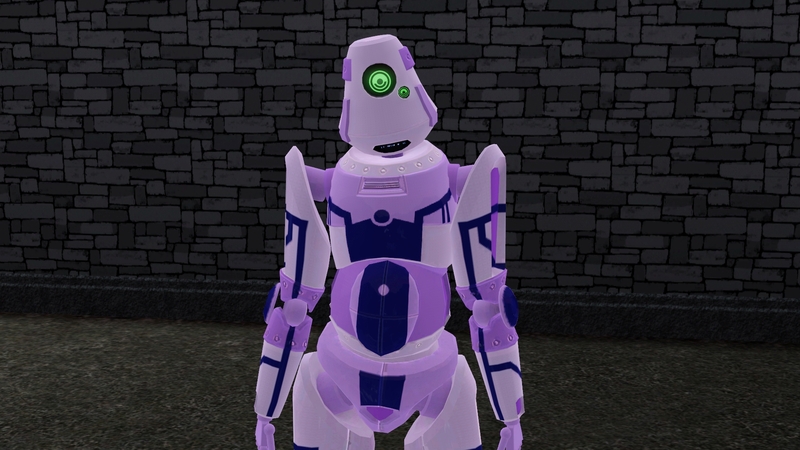 Bella returns home with a newly created robot, Rosie. 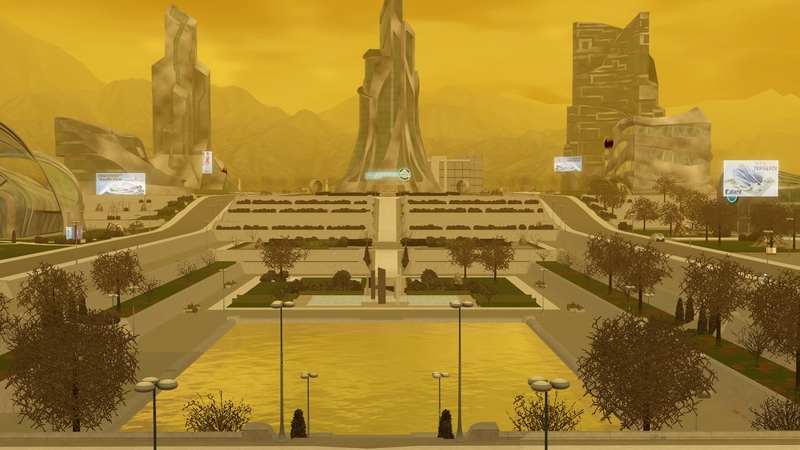 The time traveler contacts Bella and explains that the utopian and dystopian futures as alternate futures and tells her how to adjust the settings to return the future to the normal outcome. 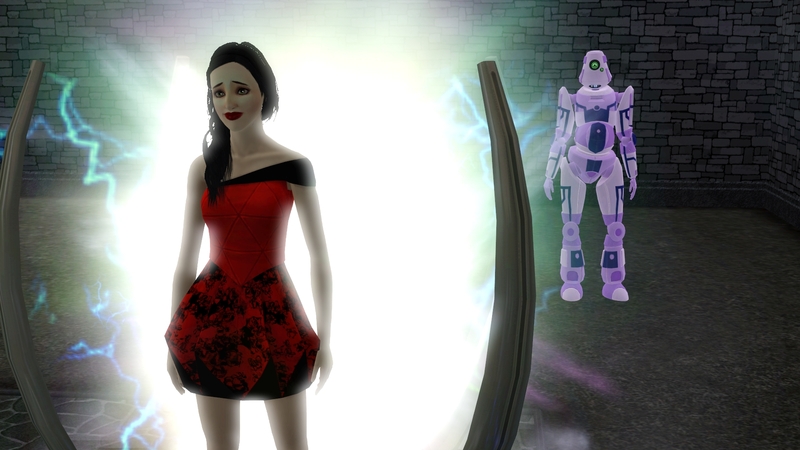 Bella finally gets the future set back to normal and she shuts down the portal. This completes Bella’s responsibilities for this generation. I am still thinking about whether she is going to stay age frozen or if it is time to move her out. 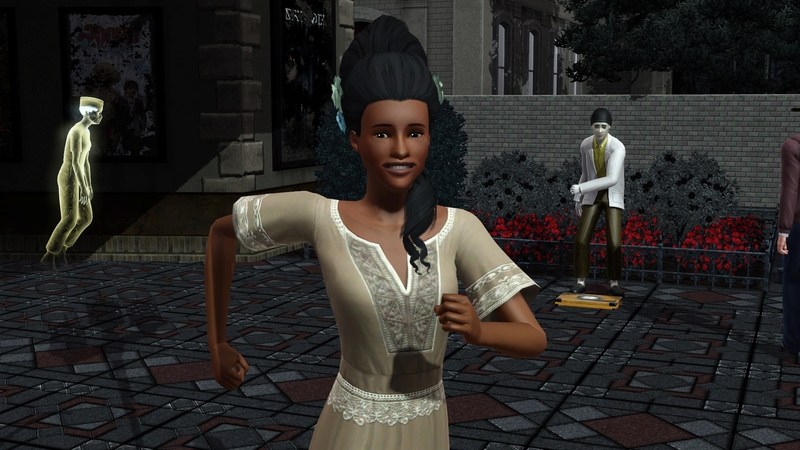 Back in Midnight Hollow, Ariel completes her Ghost Hunting. Everyone has such a different set of challenges and they are all hands on, so it is a challenge to me to actually complete everything. I will most likely focus on one at a time, and then we will have babies. 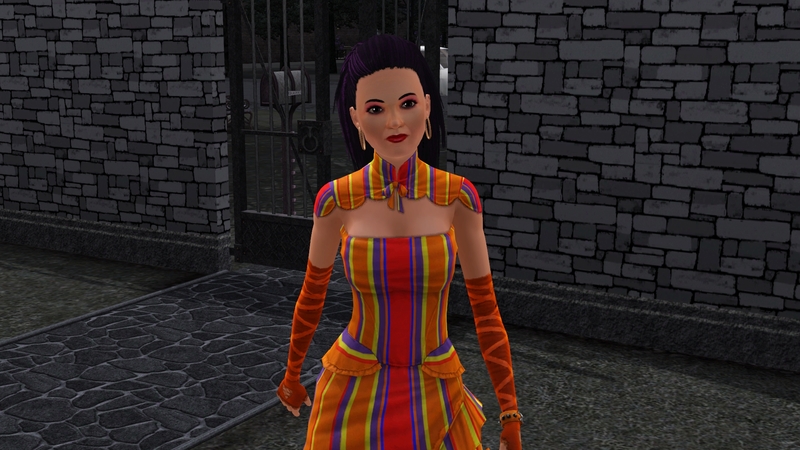 Robin is working on Master Romancer with the target of 5 woohoo with 5 different sims and a total of 5 children. 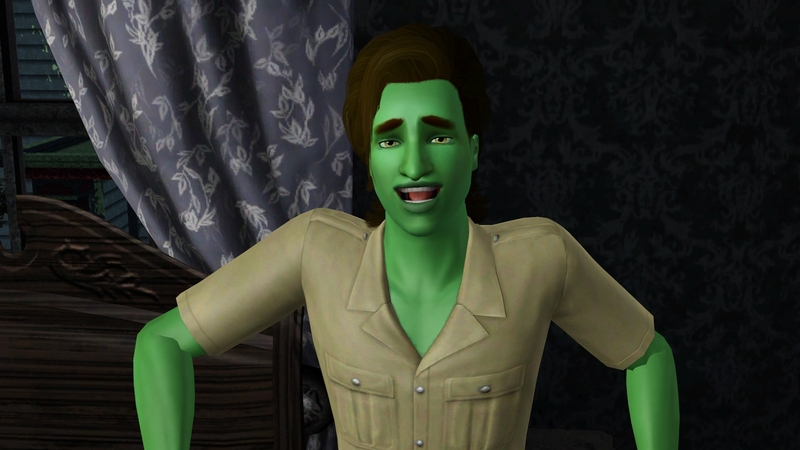 Woohoo #5 – Olive Specter in the hot tub which completes his lifetime wish. As the genie was unable to get pregnant while still living in the bottle, Robin needed one more conquest for the 5th baby. He chose Annie Lau for the honor. 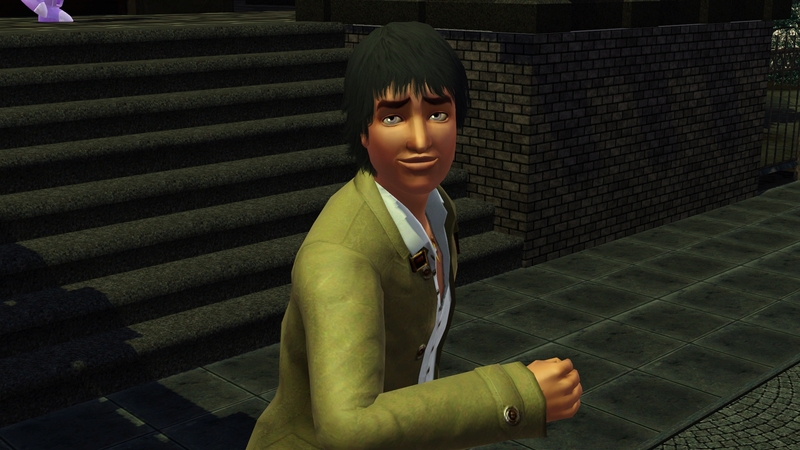 Robin heads over to the gym and finds himself trapped in a nightmare of his own making. 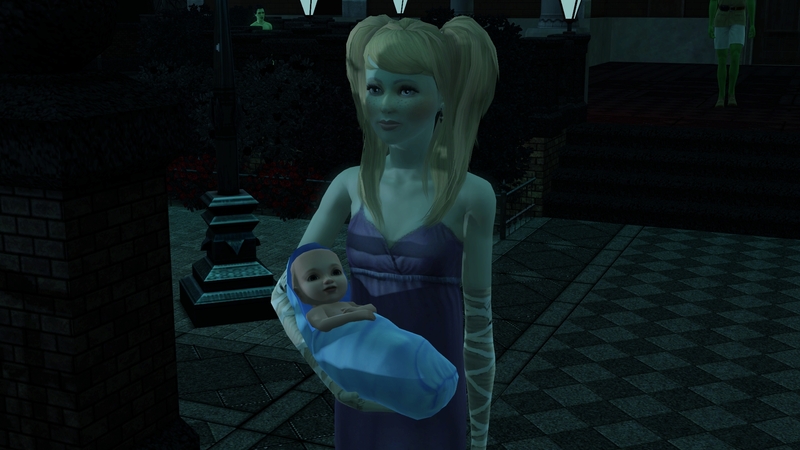 And the babies explosion begins with Ariel’s baby, Luna Miles. Followed by Cecilia’s baby, Curt Evans. And then Kara’s baby, Tommie Carter. 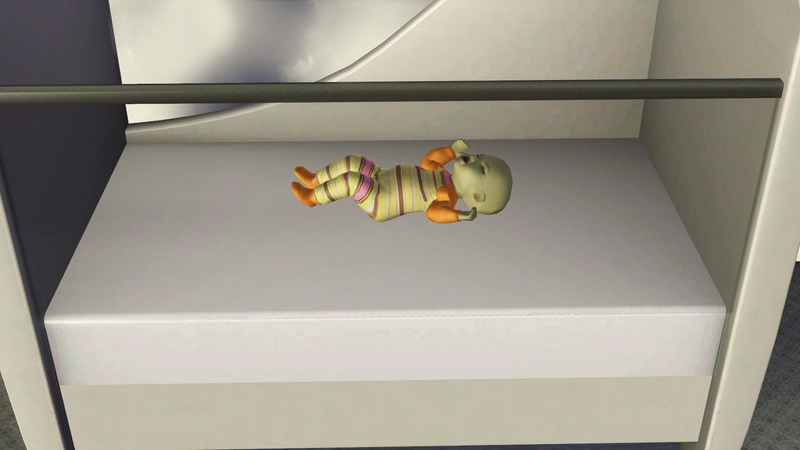 Followed by Olive’s baby, Joel Specter. 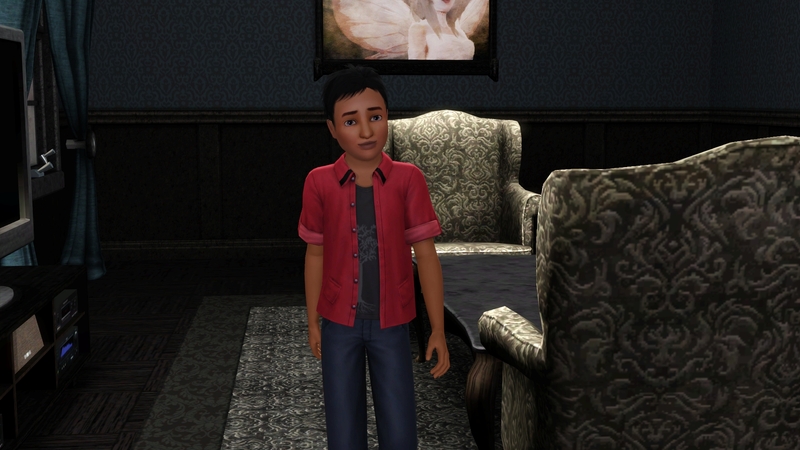 And finally, Annie’s baby, Jarod Lau. With Robin’s babies born, the only one left with a challenge is Ariel. 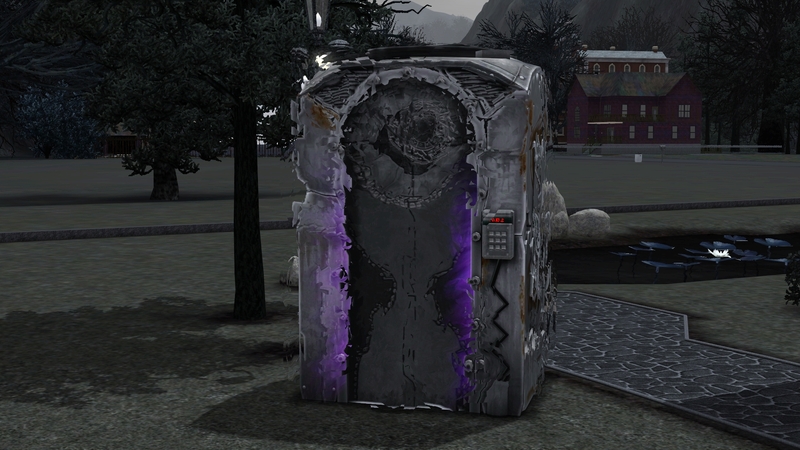 Ariel decides it is time for a change so she reactivates the time portal and takes Rosie and Luna to the future. After purchasing a vacation home, Ariel heads out to find a single man. She runs into Jade Zogg and they hit it off so well that they are married within a few hours. 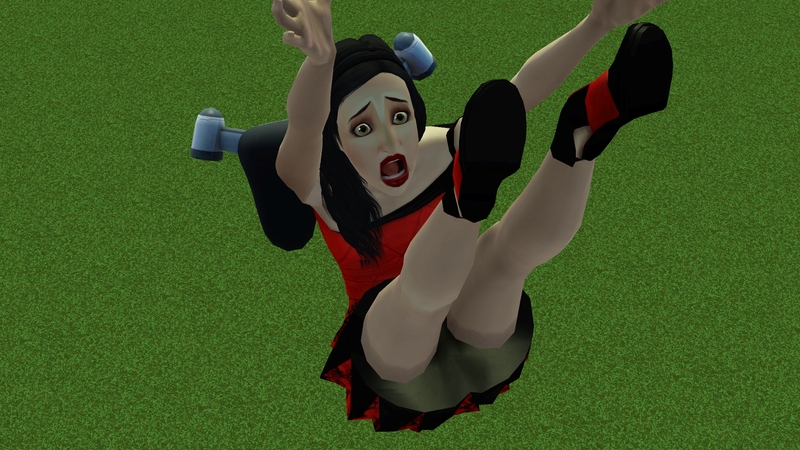 After returning briefly to Midnight Hollow, Ariel decides she is no longer willing to attempt to embrace the darkness. 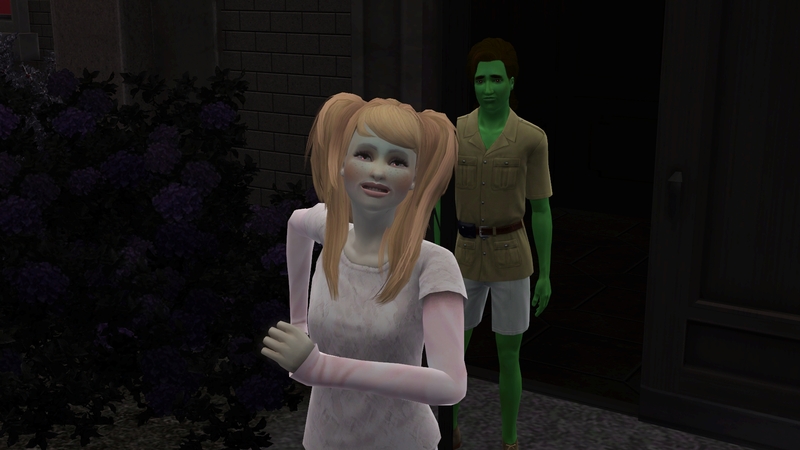 Bella, Robin, and Adam choose to stay in Midnight Hollow and move out to their own place. 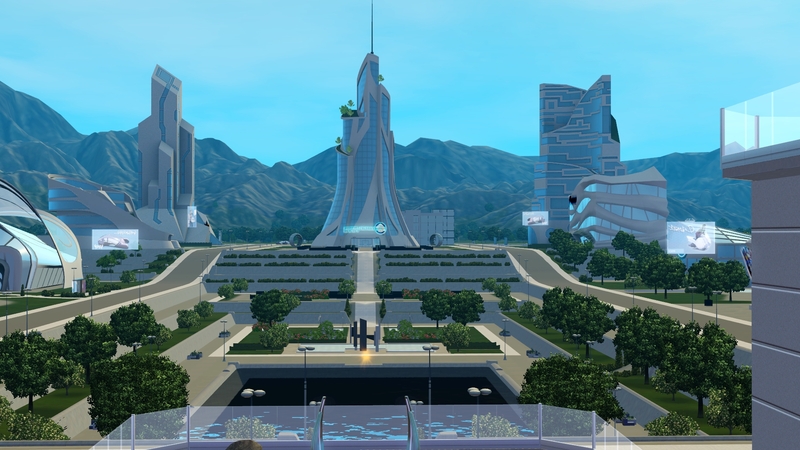 Ariel resets the future to utopia and the remaining family returns to the future. 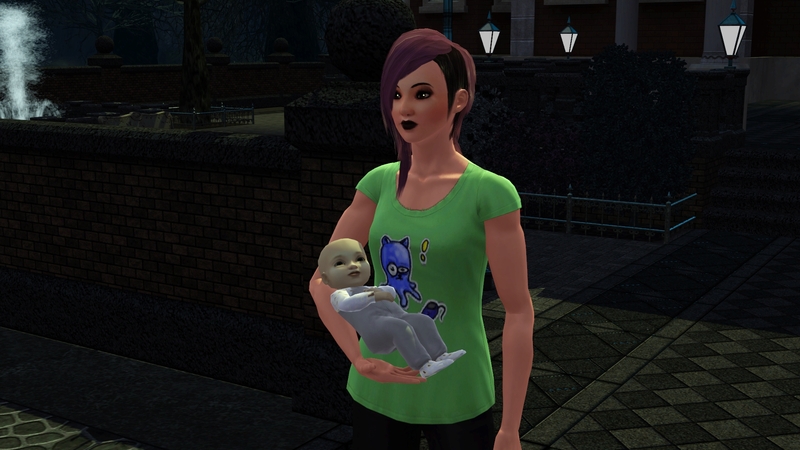 While Ariel and Jade work on making another baby, Rosie doesn’t do such a good job as Luna’s nanny. 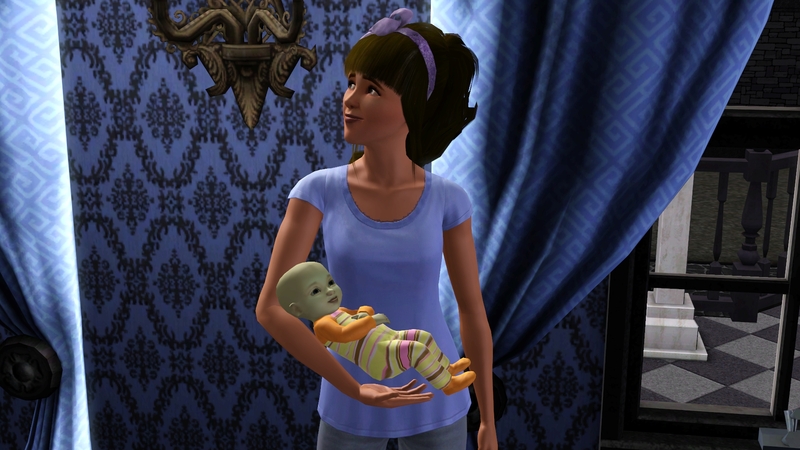 But Luna survives her infant years and becomes a toddler with a new sibling on the way. 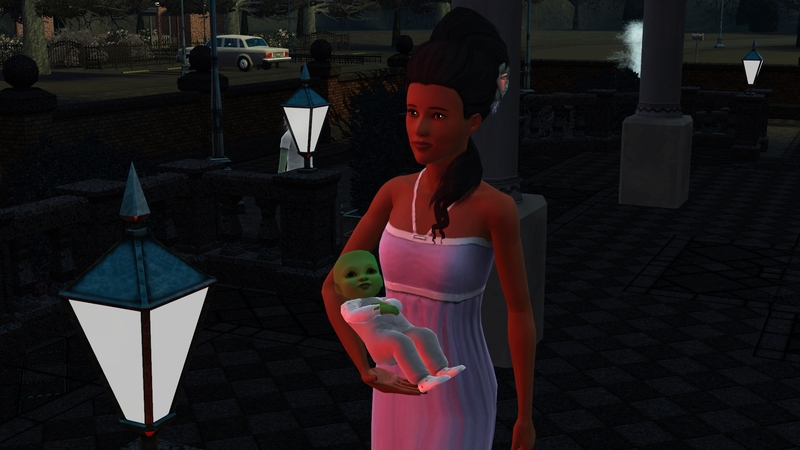 After a long hiatus, during which Milo was born but not much else, Ariel has decided to return the present and move the family to Sunlit Tides. 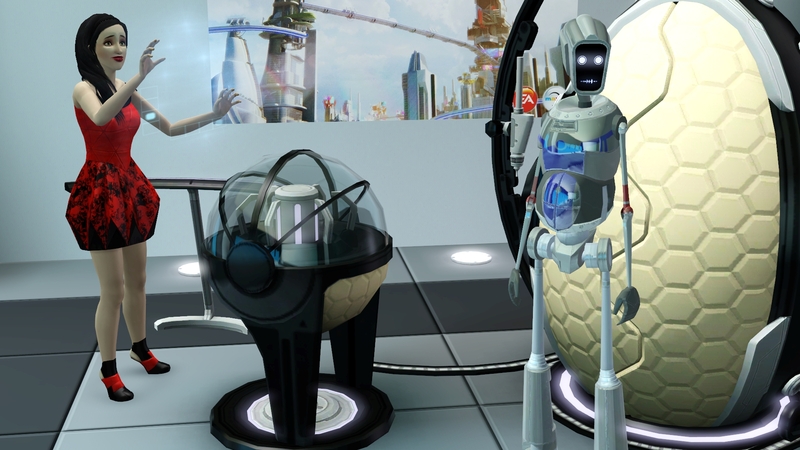 Nanny-bot works on finishing up Luna’s training. 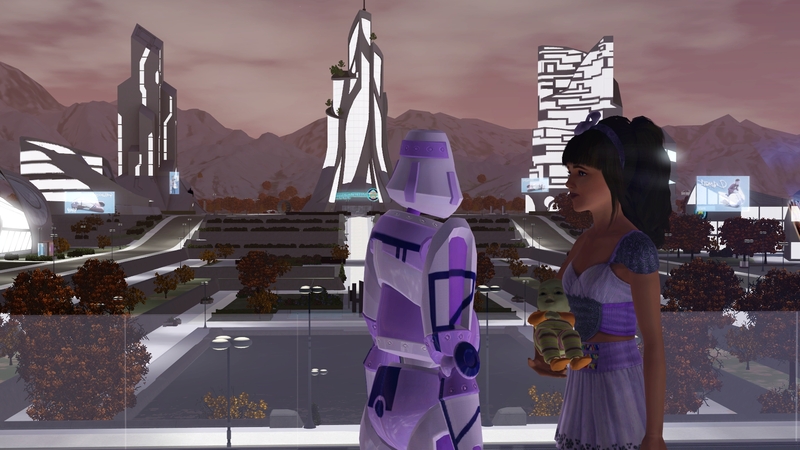 Once Lucy is born, Jade takes Nanny-bot and the two older children and moves out. Ariel takes Lucy and moves to a small house, with the intention of focusing on raising her youngest child and future heiress. 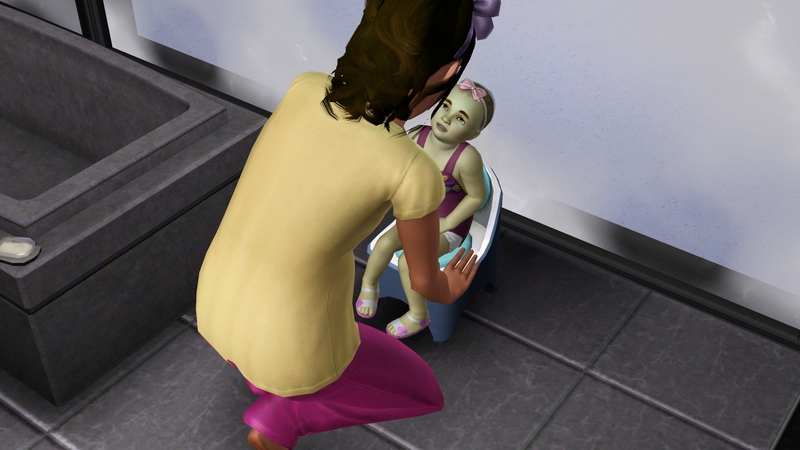 (My game is really lagging and I realize that even though I miss toddlers in Sims 4, I actually prefer it now. 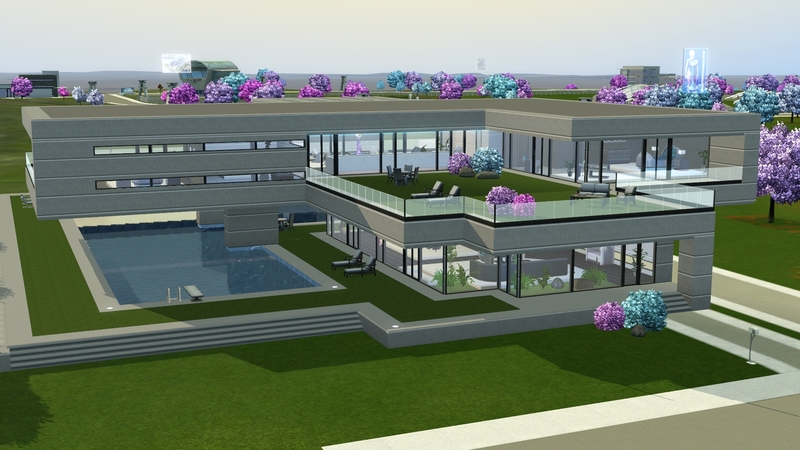 And, the L-A-G is awful compared to Sims 4.